Sleep hygiene means good bedtime habits that help you get a good night’s sleep. The key to good sleep hygiene for children is setting a routine. Insufficient sleep can result in many problems, such as negative impact on his ability to function properly during the day in terms of behaviour and cognitive development. School-going children may experience problems with academic performance and a higher risk of accidental injury. Studies have also shown that sleep problems in early life, if left unchecked, are linked with behavioural and emotional problems in later life. Make sure that your child gets enough sleep. 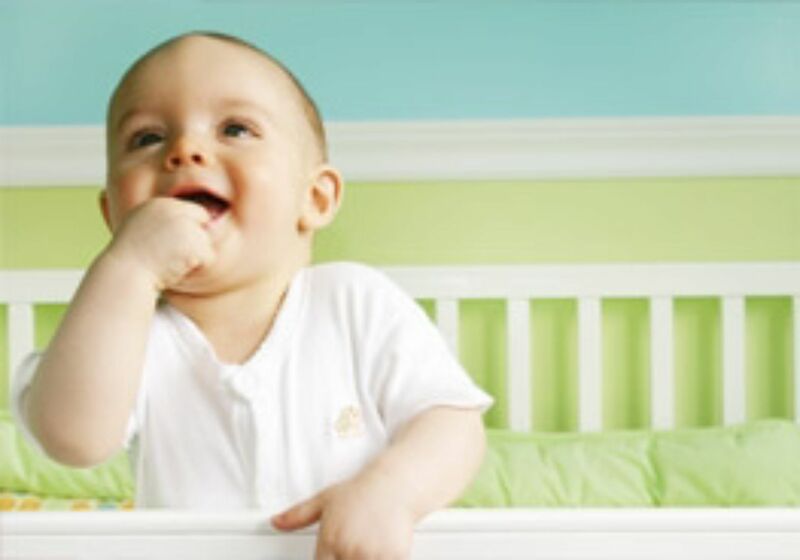 Infants and toddlers tend to require a lot more sleep, but not all at once, i.e. they may only sleep for an hour or two at a time. Start practising good sleep hygiene from the beginning. Ideally, both parent and child should have a bedtime ritual that is conducive to promoting sleep and discourages problematic sleep behaviour. Your sleep hygiene process may include “training” your infant or toddler to develop a regular circadian rhythm by conditioning his bedtime behaviour, ideally by reducing his anxiety, eliminating environmental stimulation and enhancing relaxation. Physical comfort: The room should be cool (around 24°C is recommended) with sufficient air ventilation. Air-conditioned rooms can cause low humidity, resulting in breathing difficulties. Proper sleep environment: A quiet, dark room is best; if necessary, use a gentle/dim nightlight that does not shine into his eyes. Keep other light sources (e.g. TV or handphones) out of the room. Sleep should be linked with “lights out” to encourage proper circadian sleep rhythm. Bedtime stories or lullabies: Reading bedtime stories or singing lullabies can help alleviate your child’s night-time fears. Use a calm and soothing tone of voice to get him in the right mood for sleep. Consistent bedtime and routines: Bedtime should be set at the same time and for the same duration on a consistent basis. You may need to start preparing 30 minutes ahead, especially for young children. The biggest obstacle to bedtime is often parental inconsistency. No more naps when schooling: Children above six years should not require daily daytime naps. It may interfere with bedtime and sleep quality, making it harder for him to get up in the morning. If he is very tired or sleepy, limit naps to 20 minutes or less. A better alternative: send him to bed earlier! Avoid heavy meals before bedtime: Going to bed with a stuffed tummy can interfere with his sleep. Also, if he feels too hungry, he may be too uncomfortable to sleep. A light supper of a cup of milk will do. Avoid caffeine-rich drinks: Discourage him from taking caffeine. This can be found in energy drinks, coffee, tea, some soft drinks (e.g. cola) and even chocolate. As every child is unique, tailor your approach to sleep hygiene. The tips given are a general guide, so adjust them accordingly. Infants do not have the same circadian cycle as adults and will normally sleep and then awaken for a few hours throughout the day – this is perfectly normal. In this situation, you can try to sleep when he does. At the same time, get him to associate night time with sleep; for daytime naps and night bedtime, put him in a dark room. Over time, he will eventually sleep more at night and be able to get by with fewer naps during the day. Place babies and toddlers in their bed/cot drowsy but still awake, not asleep. Some may need “baby-cot rocking” or “patting in their cot” to make the transition to sleep easier. Teach young children how to “self-soothe” by allowing them to learn how to do it themselves. Ensure they are comfortable by providing comfort toys, favourite pillows or nightlights. As your child grows older, he may try to delay his bedtime because of TV, digital gadgets or some other activity. Enforce a strict no screen-time rule before bedtime; this will also help him to mentally wind down and be ready for sleep. Above all, stick to a consistent routine. For school-going children, bedtime and wake-up time should be maintained, even on non-school nights. The difference should not exceed one hour. Make the final hour before bedtime a quiet, low-activity-level time with no TV, gadget or screen use two hours before bedtime. Research has shown that screen light interferes with melatonin hormone production, which is critical for sleep-wake cycles. Just 30 minutes of TV before bed can drop melatonin levels sufficiently to keep your child awake for an extra two hours. The same holds true for adults! Avoid sleeping in on weekends to catch-up on sleep. It is better to get enough sleep every night than to make up a sleep debt on the weekend. Do also spend time outside every day as exposure to sunlight helps to keep the body’s internal clock on track. Consult his paediatrician if you consistently have trouble getting your child to sleep or if all of your efforts to enforce sleep hygiene are not working. Above all, do not resort to using sleep medications!